emojidex is the only Open Source emoji vendor from Japan🇯🇵, so we remember having emoji roughly a decade before the rest of the world🌎. And before the smart phone:smartphone:, the big thing in emoji was 🎈animation🎈. From the very beginning of the emojidex project we considered animation⚙, and we've designed every part of emojidex :mad scientist: to not only support animation, but to support animation in the best way possible. In fact, emojidex is the only generally available modern emoji set that includes animated emoji😛 and the only modern emoji system that has animation support built-in🖏🏽. Now, we want to update and animate our emoji set; but we need your support. 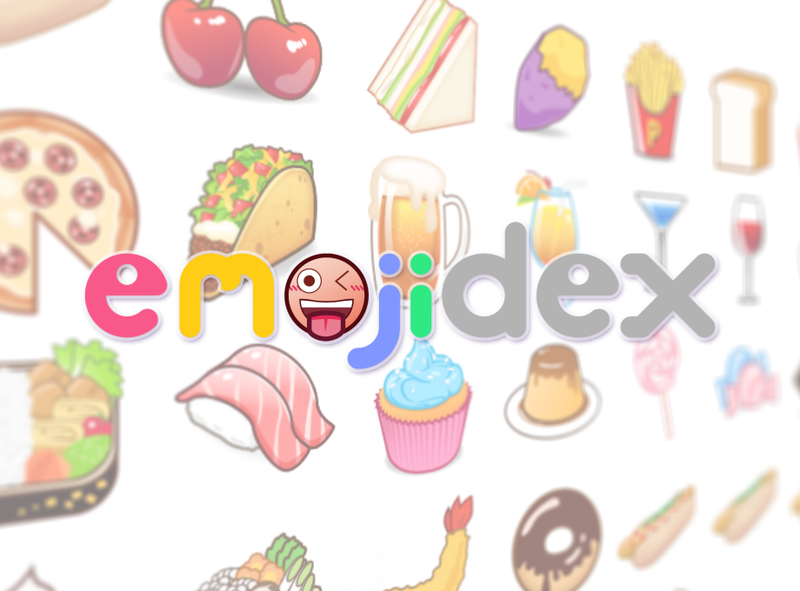 We ask that you use emojidex as much as possible and, if you would be willing to really help us out, sign up for a premium membership. With enough premium members we'll be able to not only update and animate our emoji, but we'll also be able to put our full time into making our existing emojidex apps better and making new emojidex related apps, tools, and extensions. For details, see the "Stretch Goals" second below. 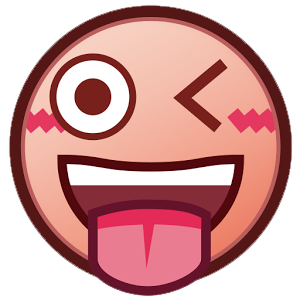 ~10cm/~4inch emojidex:stuck out tongue winking eye(p): "akkanbe-" [stuck out tongue winking eye] circular all-weather coated vinly sticker. Perfect for sticking on the back of your car, cover of your notebook computer, top of your kayak, side of your personal aircraft, or just any semi-flat surface you want to put a large sticker of a playfully taunting face. ~7cm * ~10cm/~2.75inch * ~4inch emojidex :sushi: "sushi" oval all-weather coated vinly sticker. Should fit nicely on the back of most phones, but is certainly appropriate on your fridge or various hand-wash food containers. ~10cm emojidex :poop: "poop" outline all-weather coated vinyl sticker, perfect to stick on your toilet lid or or anywhere you think would be humorous, yet strangely appropriate, to have a gleefully smiling pile of poo. ~9cm/~3.5inch emojiex laminated paper sticker sheet. These stickers are just the right size to put on keyboard keys or to accessorize the back of your phone or a notebook. The more you use emojidex the more you support us, but if you'd like to go just a little bit further then try using the extended features of our service. Register an emoji and buy a link to promote what you're doing, or go Pro and get unlimited links, descriptions, and analytics features to use emoji to promote your business. You may also find some emojidex stationary or phone accessories in your local shops. The best way to support emojidex is to use it! Please check out our apps and extensions,and be sure to tell us what features you want us to add or improve in the comments. Do you have your own site? Part of making emojidex better is having more people use emojidex. We'd love💓it if you'd consider adding emojidex to your site. Not only will you get animated emoji, you'll also get our extended emoji :(salmon)sushi::(snapper)sushi::(shrimp)sushi::(cucumber roll)sushi: ・・・ and user submitted emoji :椛::Pepe::Ruby:・・・. emoji are loaded from our CDN☁ which reduces your site load and total data transfer. Checkout the emojidex-web information page here and the introduction video here. emojidex offers a full-featured client library for Android, a C++ client library with Java and Objective C interfaces (with Python coming soon), and a native Ruby gem. Guides for these libraries are in the works, but they can all be used now. If you're interested in integrating emojidex into your app please join our discusson in gitter so we can get you started and answer any of your questions. We're the emojidex team, primarily run by the small group of creators, developers, and artists at :幻:Phantom Creation Inc. in central Japan🗾. We're not a big company and we have no external funding. All of our work is done either from funds that come from emojidex or funds we raise ourselves. But now, we don't have the funds to put our artists to work full time on updating and animating our emoji sets. So even though we wanted to have more functionality implemented for Premium users, we're asking for your support. With enough premium users we won't have to contnually hunt for funds or take external jobs to continue our efforts. This bar represents the amount of money we'll need to keep our artists drawing and animating full time. Everyone who becomes a yearly Premium member of emojidex by the time this bar fills up will receive a pack or rewards in the mail. Check the "Rewards" section for details.